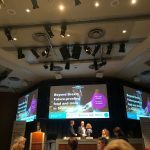 On a sunny Tuesday morning, we made our way to the Edinburgh International Conference Centre for The Scotsman Food & Drink Conference 2018. An impressive array of speakers, from CEOs and Attorneys to Entrepreneurs and Politicians, awaited us. Chaired by the engaging and insightful Stephen Jardine (Taste Communications), the speakers presented on their own specialities and discussed issues that affect the industry as a whole. Rather than give you a diary of the day, or of Food & Drink Fortnight, we’re going to explore some of the key themes of the Conference. Stephen Jardine set the scene for the day when he acknowledged that Scottish food and drink owes its success to quality, collaboration and innovation. This success is evident in the continued growth of the sector – up 3.9% on last year. Perception of Scottish food and drink continues to improve. Speakers were delighted to tell us that Scotland is the country most associated with quality food in the whole world. It was interesting to hear that the perception of Scottish Gin as denoting high quality was highest amongst the 18-34 demographic. An interesting discussion unfolded around the news this week that one haggis producer has replaced the Saltire on their label with a Union Jack, a move that many found surprising. Stephen Jardine asked whether a Saltire was understood to improve sales or denote quality, and brands were quick to unanimously confirm that the word “Scotland” or “Scottish” was much more important than a Saltire. This was true not just in Great Britain (where consumers want to buy local produce) but around the globe (as people are much more likely to have heard of Scotland than be avid flag enthusiasts). Picking up on this point, Jim McLaren (Chairman, QMS (Quality Meat Scotland)) quoted Robert Burns to highlight that it’s important “to see oursels as ithers see us” – or to give people what they want from Scotland. The conference title “Beyond Brexit” was apt. Some speakers were keen to tear into what a hard or soft Brexit would mean for the industry, whilst others were quick to point out that not even Downing Street knows what kind of Brexit we will have in the end. Frank O’Donnell (Editorial Director, The Scotsman Publications) stressed in his welcome speech the importance of the European Union to Scottish food and drink exports. We note that in 2016, total food and drink exports to the EU were worth £2.3 billion to the Scottish economy, accounting for 41 per cent of our total overseas food and drink exports. This sentiment was repeated by several of the speakers on the day, many of whom are concerned about the effect that leaving the Single Market would have on their businesses. Whisky has been successfully exported for over 150 years – through seismic changes that include two World Wars, the entrance of the United Kingdom into the Single Market and many more. It’s important to remember that Scotch Whisky accounts for 70% of Scottish food and drink exports and so they (willing on or not) are fighting the policy battle for the rest of the industry. She also noted the variety of issues facing producers: from exporting their own product and importing parts, to delays at borders. Another key Brexit theme was intellectual property protection. Eleanor Coates (Director, Trade Marks, Murgitroyd) spoke on the issue of legal protection for food or drink from a certain area, known as Protected Geographical Indication (“GI”). Many of Scotland’s favourite delicacies have GI protection, including Scotch Whisky and Stornoway Black Pudding. This protects them from losing revenue (or suffering reputational damage) from counterfeits and ensures consumer confidence in their products. The key concern for Scottish food and drink is that GI is not enshrined in national law – at either Holyrood or Westminster. This means that existing protections will become meaningless unless either (i) a deal is agreed as part of Brexit to continue using the European GI scheme, or (ii) the British Government legislates to duplicate or replace GI protections. This is a huge worry for Scotland’s producers and one that must be tackled in the next round of Brexit negotiations. Eleanor went on to highlight that copyrights, patents and unregistered trademarks are not likely to be significantly affected by Brexit (although the latter is often restricted to geographical areas in which it has been active). In contrast, it is important that brands take action now to protect their registered trademarks. Whilst UK registered trademarks will not be affected, those who have registered their trademark in the UK by virtue of an EU trademark should seek advice on how to protect it through the transition period. It is important that new and existing brands review their licences and existing agreements to avoid any nasty surprises. 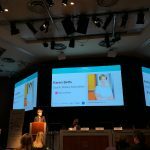 The human cost of Brexit was brought to life by Petra Wetzel (Founder, West Beer) and Fergus Ewing (Scottish Government Cabinet Secretary for the Rural Economy, MSP for Inverness and Nairn). Petra lamented the sharp decline in applications from European and International candidates, who have brought great value to her business in the past. Fergus warned of the effect of Brexit on Scotland’s rural economies who not only produce many of Scotland’s favourite products, but also play host to the 14 million tourists who visit our country every year. These economies are key to Scotland’s success and many of the jobs within them are currently filled by European or International candidates who have made Scotland their home. the rise in food tourism. 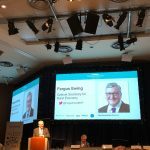 Fergus Ewing highlighted Thistly Cross and Beinn an Truic as excellent examples of capitalising on the opportunities that food tourism presents. In 2017 alone, there were 1.9 million visitors to Scottish Distilleries. In the closing debate, Adam Hunter (Commercial Director, Arbikie Highland Estate) spoke of Scotland’s attitude to hospitality and food and drink. In contrast with America, where bartenders can earn huge salaries and are regarded as professionals, bartenders in Scotland are often asked “what they really want to do”. This attitude denies hospitality and food and drink as a legitimate career for ambitious and talented individuals. 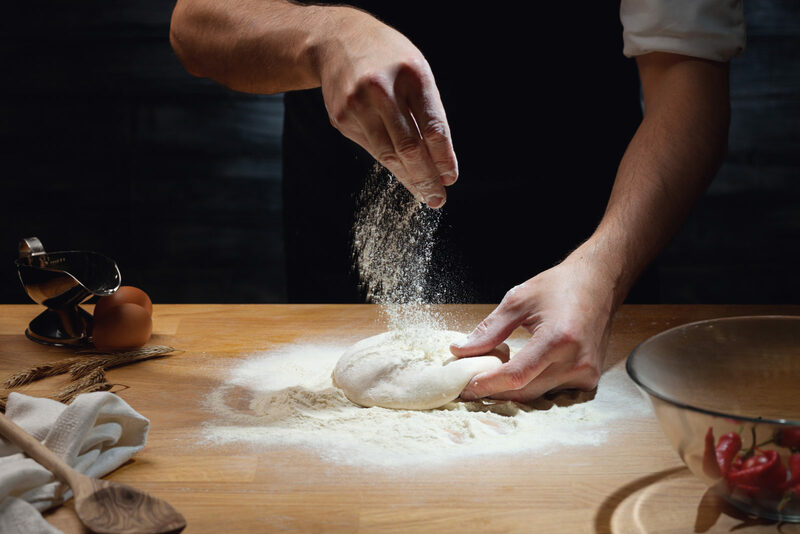 The Scottish food and drink industry, with the support of Scotland Food and Drink, is on track to be worth £30 billion by 2030. This goal will can only be achieved with the support of the next generation coming through your business and we urge you to invest and believe in them. Brexit notwithstanding, the future is bright for Scottish food and drink. To see the biggest players in the industry collaborate with burgeoning businesses, the government and The Scotsman was inspiring. It serves as a reminder that working together to find synergies, share knowledge and tackle issues is the best way to ensure the success of the Scottish food and drink industry. The Conference was followed by The Scotsman Food & Drink Awards 2018, a well-earned chance for many attendees to let their hair down. We think they’ve got plenty to be celebrating. The Scottish Gin Society reminds members to drink gin responsibly.